New Orleans The problem with celebrating our victories is that often we need to do so pretty quickly before the forces of reaction overrun us again. 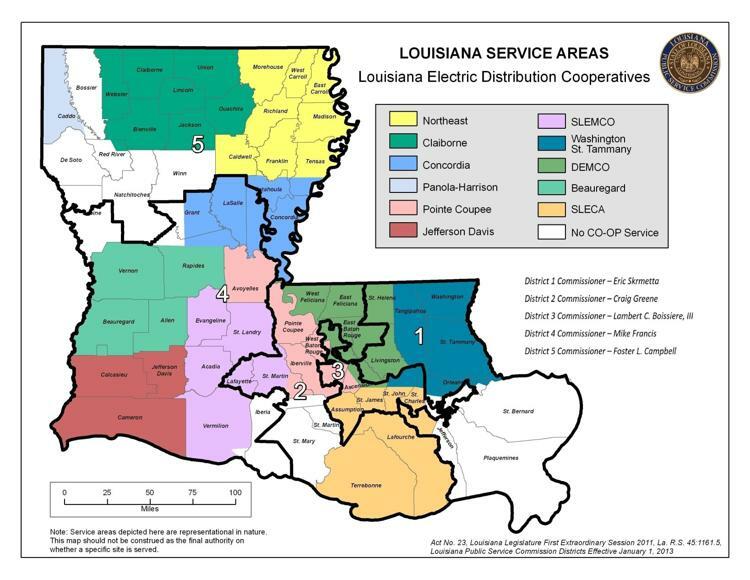 Hopefully, this won’t be the situation in a recent critical breakthrough in the Public Service Commission regulation of rural electric cooperatives in Louisiana, but it’s worth concern. The two rules … require the cooperatives to insert into monthly bills details of how the board members are compensated, and allows co-ops to change voting procedures in co-op bylaws, such as choosing to eliminate quorum requirements. The second rule allows members to vote on whether they agree with the compensation packages the boards had given themselves, the report read. Also in the second rule, members of co-ops are allowed a variety of voting techniques — such a mail. “But the wording on the ballot must be approved by the Public Service Commission and regulators must choose an accountant to oversee the vote count,” the report read. In addition, the rule imposes term limits on board members, as well as requiring directors to receive insurance, if the members approve, at the same level as the co-op’s employees. Commissioners expressed shock upon learning how lucrative the compensation packages are for board members who run the 11 cooperatives that provide electricity to a little less than half the state. This is ground breaking not only in Louisiana but throughout the south, if not nationally. Not only are terms limited, but the PSC has put a wrench into way that local coops, their managers, and directors have stacked the deck to prevent any semblance of membership democracy. I don’t believe in term limits, but this is the exception to my rule, because the cooperative democratic process here and elsewhere has become so estranged from democratic practice or coop principles, that perhaps term limits are the only way to break up the corrupt cabals that have diverted membership power and resources to their own advantage. Allowing voting other that in meetings where people can be bullied and intimidated or unable to attend because of notice or timing is also important, as well as the fact the PSC is clearly indicating that they are going to keep their eyes of the cooperatives until democracy is restored and assured. Hallelujah! The only fly in the ointment is ALEC, the Association of Louisiana Electric Cooperatives. They don’t want their hayride to be over where they will be forced to pay attention to the membership’s interest and precious dollars, rather than the highly paid management and directors of the cooperatives and their semi-appointed board members. ALEC is debating going to court to challenge the PSC’s authority here and already has a bill before the legislature that would allow them to ignore the PSC’s orders for more democracy and fiscal accountability. Jeff Arnold, the ALEC boss, disingenuously told The Advocate that they didn’t need the PSC’s orders because most of their member cooperatives had “already adopted policies to keep the insurance policies the same as employees. Nine of 10 also have passed resolutions on quorums and term limits.” Of course, Arnold is never going to point out the obvious contradiction in his statement since the only reason the cooperatives got on top of their self-dealing and anti-democratic procedures was because the PSC went wild over their abuses, which is the very reason they want the PSC to keep of their business so they can go back to fleecing the consumers who are their members like they were doing before. Even in Louisiana, they may not be able to get away with such an open and obvious rip and run. Utility Rate Increase Fights Are Back! New Orleans Once upon a time back in the last century, just as there are now campaigns for things like living wages and ending predatory lending, there were fights to hold giant utility companies accountable all over the country more than forty years ago. Then there was something called inflation, which young people in the 21st century may have forgotten, though thanks to the Federal Reserve’s coming decision on interest rates, we are about to learn anew, where prices and costs rise everywhere, not just on drugs, housing, and higher education. During those times, investor owned utilities (yes, IOU’s) were also known as public utilities because they were allowed monopolies and were therefore regulated by public service or public utility companies from state to state. Utilities, in even older days, were about as unpopular as, well, banks, and whole political careers were made fighting against their rate and construction plans in favor of the little folks who were sometime called consumers. Many of these commissioners were elected in the western and southern United States and whole careers were made of fighting against utilities and the like. Huey Long, the Louisiana populist was a good example of this breed. In the early 1970’s, utility rate increase fights were being waged all over the country and not just in places like California and Seattle. ACORN was in the thick of the battles in Arkansas, South Dakota and many other states. The principal objective was winning something we – and others – called “lifeline” rates. Lifeline rates would freeze the price for lower income and elderly users at an affordable level for the first 400 kilowatt hours of usage thereby protecting them against outrageous rate increases. We tried to win at the PSC in Arkansas and would manage to decrease the outrageous requests of what was then called Arkansas Power and Light (AP&L), one of the units of Middle South Utilities, now all known as Entergy. We even decisively won an election in Little Rock establishing lifeline rates only to have the victory overturned in court with Web Hubbell and Hillary Clinton sitting at the utility’s table, but that’s both another story and at the heart of this story, because it has to do with the financing. To pay for lifeline rates at the bottom for the small users, it was necessary to modify the huge giveaways to the big users receiving bulk discounts for heavy usage. Alcoa and Reynolds Aluminum, huge operations at the time in Arkansas, used 10% of all of the electricity produced by AP&L to run their operations. Making the larger users pay a fairer share protected the smaller users who were essentially subsidizing the big guys. This whole inequity thing we’re fighting now, is not exactly brand spanking news. Fast forward and there is Ernie Dumas who was on the editorial board of the Arkansas Gazette back then writing a column now in the Arkansas Times that was essentially déjà vu all over again. Entergy, taking advantage of the Republican majority in both houses of the legislature, managed to pass something that overturned the way utilities are regulated in the state and now are whining that they want the PSC to hand over more than a 10% increase. Defying all logic – and history – they are also arguing that allowing them to give even bigger discounts to electricity guzzling industries will bring in jobs. The argument rests on hopes that permanent amnesia has set in and no one will realize that this is their same strategy dressed in a new, more expensive coat, and it has never created jobs but always strapped consumers with high bills. He wonders if “the ratepayers’ voice will be there,” and that’s a call that must be answered. Yet again, and again, and again. This is the proverbial canary in the mine-shaft. 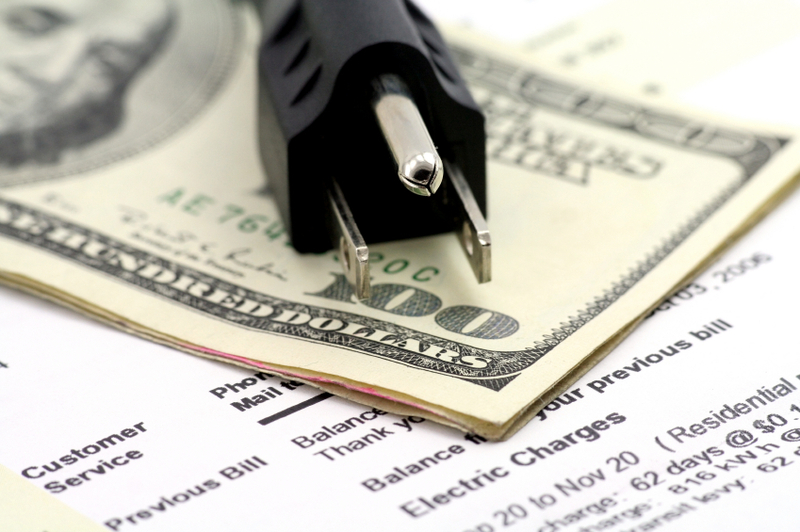 Utility companies are shrewd and they live like vultures in the hallways of state legislatures. Arkansas won’t be the only state where they have seduced them silently to prey on consumers. Let’s hope the battle cry can be heard and answered everywhere once again.